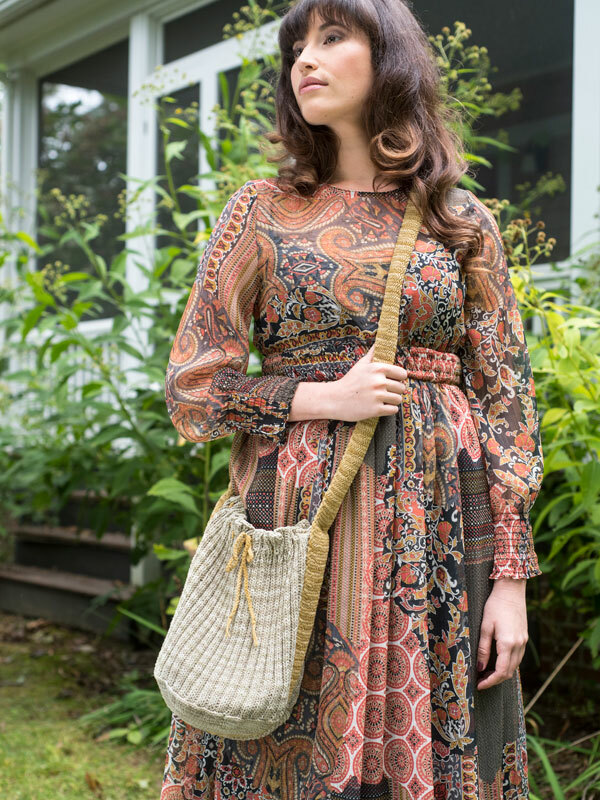 Berroco Suede™ has come and gone and has come back again! It is a 100% nylon tape yarn, and while it is recommended that you hand wash projects made with Suede, but I have machine washed and dried in the past. Please make a sizable swatch and test it yourself before proceeding. I love Suede for bag making. Suede loves to be crocheted. 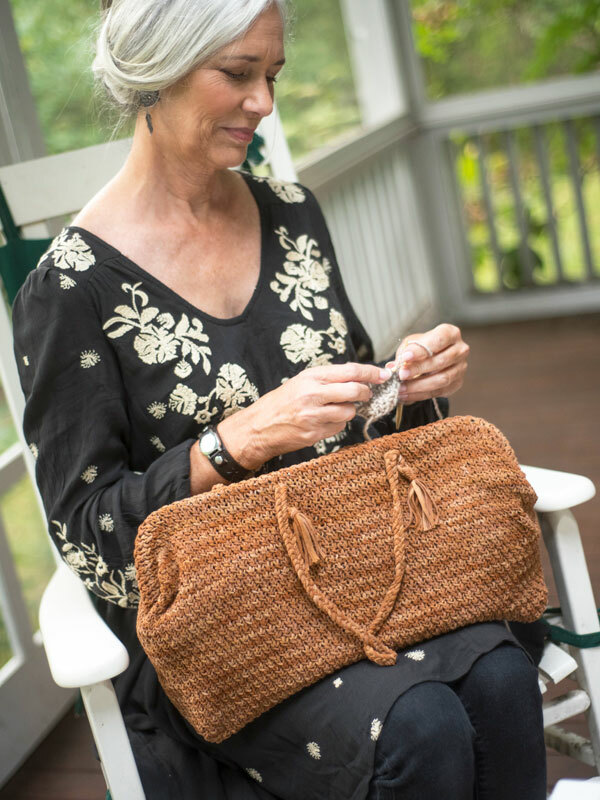 Hauser is crocheted using only single crochet and the underused half-double crochet. This bag will be your go to bag for everything. 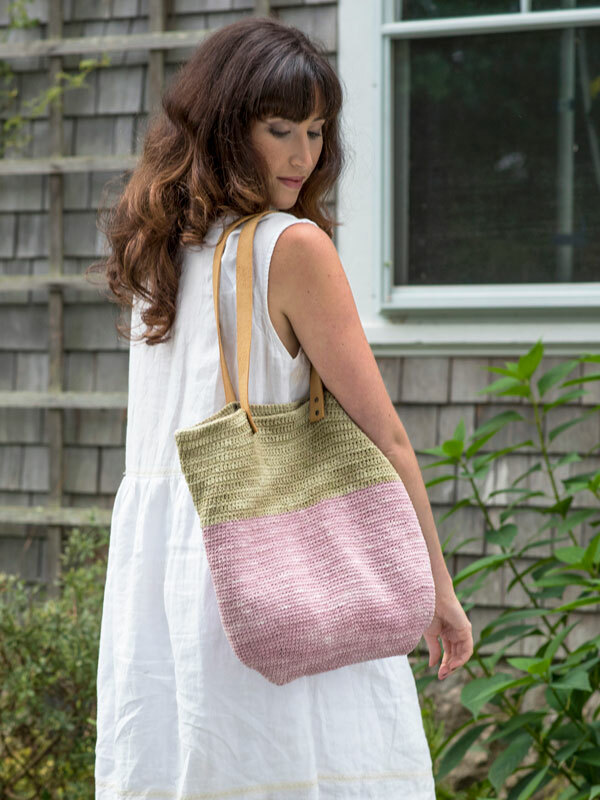 The knitting tote has been so popular in the past that we gave it a make over in our new booklet Berroco Suede™2017 and named it Ponderosa. Then there is Marias, has a crocheted bottom and the body is ribbed. I have made Marias three times—an original on which the current pattern is based, one in black for my daughter, and the one pictured in our new booklet. Now if none of these tickle your fancy, we have approximately 40 more bag patterns that could work for Suede. Hope you find your bag! Hello. I’m making the bitterroot, and wondering if there is a video for the pattern stitch? I’m a bit confused. Tks! Thank you soo much. I will go check it out. HELP! I’m making the Ellis Vest from the Berroco Website as a gift. The top was a breeze but now I’m on the peplum. And am finding it difficult to follow the pattern. Hi Pat, please feel free to email our Pattern Support address (patternsupport@berroco.com) for assistance with this pattern!